2012 Player Previews, Part 3: Rory, Phil, et. al. Rory McIlroy is back on the PGA Tour in 2012. Will it be a big year for him? Photo copyright Icon SMI. 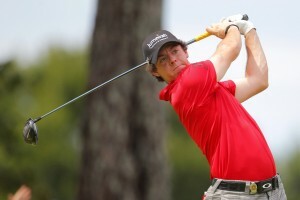 Part 3 of our 2012 player previews looks at Rory McIlroy back on the PGA Tour and various players of interest. Click here for Part 1 (Luke Donald and Tiger Woods) and here for Part 2 (Nos. 2-8 on the 2011 money list). In rejoining the PGA Tour this season, McIlroy has a chance to build on his U.S. Open victory and possibly become the most popular European ever with American fans. Despite the fact that he grew up in Northern Ireland, McIlroy’s game is better suited to the U.S. as he implicitly admitted at last year’s British Open when he talked about not liking to play in the wind. Maybe that’s why he decided to return to the PGA Tour after a one-year absence despite his lack of enthusiasm for needing to stay on this side of the Atlantic through the dog days of late August and early September and the FedExCup playoffs. With his talent level, it’s likely he’ll have to stay for all four playoff weeks. But more important are the four weeks of the majors where McIlroy could get a leg up on history if he can add another major by age 22 (if it’s the Masters) or 23. The Masters will be particularly interesting after his final-round collapse last year. He’s got the aerial game, though not necessarily the putting touch, for Augusta National. McIlroy’s statistics show him to be exactly the player we think he is from watching him play. He hits the ball a long way with reasonable accuracy. But to this point in his career his putting has been mediocre and his game around the greens not so great. Even his full wedge game was nothing special last year (based on a small sample size via only a few appearances in ShotLink-measured events), but he was very good with the medium and long irons. McIlroy is likely continue to play his way into contention often. Perhaps further mentoring from Jack Nicklaus will help him to convert more of those chances into victories—but a Nicklaus-like putting touch would help McIlroy more. Westwood and McIlroy might no longer be playing the big brother/little brother roles (if they ever really were) now that McIlroy has left the Chubby Chandler management stable. But it’s striking how similar the two are as players. Westwood morphed mid-career into being a long hitter, and like McIlroy he does it with decent accuracy. He is very good with his irons, but has question marks surrounding his short game and putting. One difference is that young Rory already has something that 38-year-old Westwood lacks—a major title. Westwood is also rejoining the PGA Tour this year, and if they both play well he and McIlroy could develop quite a rivalry—at least until the time comes for them to be teammates at the Ryder Cup. Mickelson turns 42 in June, so it’s fair to ask how much he has left in the tank, especially in light of his slipping to 12th on the money list in 2001. A better question is whether he can find his putting stroke. Mickelson’s work on the greens last year was negative, losing .139 strokes per round to a Tour average putting performance. When you consider he beat the scoring average of the field by 1.31 strokes per round, that means he gained 1.45 strokes per round from tee to green. That was the third-best tee-to-green performance on Tour, behind Webb Simpson and Sergio Garcia (who, incidentally, could be a force to be reckoned with in 2012). So it could have been a very good year with better putting. Mickelson has lost very little distance off the tee since turning 40 (ranked 22nd in 2011), but hasn’t gained any accuracy, either (177th in hitting fairways), so he’s often scrambling. He’s a good scrambler, but when you’re not converting enough of the par putts, that’s a problem. The PGA Championship thrust Bradley into the limelight, but he wasn’t strictly a one-tournament wonder as a rookie. Bradley also won the HP Byron Nelson Classic and had 12 top-25 finishes, signs that he might not fade into the woodwork after his moment in the sun. On the other hand, he missed 10 cuts in 2011, so consistency is something he needs to improve on. That may come from experience, as he becomes familiar with the courses and comfortable with the environment. In terms of his game, Bradley needs to get better in all aspects of his game from 200 yards in. From outside that distance, he was terrific in 2011: 12th in total driving (20th in distance and 96th in accuracy) and very good in both GIR and proximity to the hole on approaches over 200 yards. But is approach numbers from under 200 yards were worse than average, his scrambling ranking was 125th, and he was 97th in putting. Watson makes his living on the par fives. He overpowered them to post a 4.49 average in 2011 to rank second on Tour; the year before, he ranked first at 4.52. For Bubba, the par fives truly are par four-and-a-halves. Watson, second to J.B. Holmes in driving distance at 314.9 yards, was first in “going-for-the-green” percentage. He went for a reachable par five in two or par four in one 74.04 percent of the time; “reachable” defined as anybody in the field hitting a shot that came within 30 yards of the green in less than regulation. That was up from 61.69 percent in 2010. The difference was probably improved accuracy off the tee (176th to 152nd in hitting fairways) and five added yards in distance rather than a change in strategy: It’s unlikely Bubba was holding back in 2010. Watson’s par-five mastery has enabled him to become one of the top players on Tour despite being among the worst in a couple of areas. He ranked 184th in scrambling (saving par after missing the green in regulation) and 183rd in par-three scoring average at 3.17. These show that 1.) his short game is poor and 2.) his iron game doesn’t hold up when he has to hit his approach shot from the same distance as everyone else even though he ranked ninth in greens in regulation. Watson is also a worse than average putter (117th and 120th the last two years). The good news: There’s still plenty of upside for Watson. If he could put his name in the discussion for best American player with such flaws, imagine what he could do if he is able to improve in those areas. In many ways, Woodland has a similar game to Bubba Watson. They are both in the top five in driving distance, in the top 12 in greens in regulation, and not good putters (142nd for Woodland in 2011). Woodland hits more fairways, perhaps because he hits irons off the tee more often than Watson and the other three players ahead of him in driving distance. Woodland also has a better short game than Watson, ranking in the middle of the pack (86th) in scrambling. The advantages in accuracy and scrambling enabled Woodland to be more consistent than Watson, as he made far fewer bogeys (47th in bogey avoidance compared to Watson’s 122nd) and ranked 14th in scoring compared to 64th for Watson. In stark contrast to Watson, Woodland was excellent on par threes, ranking eighth with a 3.01 average. But Woodland couldn’t take advantage of his length on par fives, ranking 43rd with a 4.63 average. He did fine when going for the green in two, but a breakdown shows that he was 23-over on holes where he didn’t go for it—the worst on Tour. This indicates he needs work on his wedge game (he ranked poorly on approach shots of less than 125 yards), but his par-three performance shows that he’s fine with the rest of his irons. Day was the king of par-three performance in 2011, ranking first with a 2.93 average. In fact, he was significantly better than anyone else, going cumulatively 21-under on par threes when nobody else was better than 7-under and only five players were under par. His approach-shot statistics don’t suggest he would be so great on par threes, but it’s not a one-year anomaly—Day was a very good 23rd in par-three scoring in 2010. It could be part psychological, or perhaps Day hits iron shots much better when the ball is sitting on a tee. A more concrete factor could be that on par threes his wild driving doesn’t hurt him. He ranked 163rd in hitting fairways, and while there’s no stat for how far off line drives finish perhaps he hit an inordinate number of tee shots into deep trouble. Day ranked 67th in par four scoring, but his power (14th in driving distance) helped him to rank 12th in par five scoring. Day moved into the elite category of putters in 2011, ranking seventh in putting as he gained .624 strokes per round. That stat doesn’t even reflect his undoubtedly outstanding putting performances at the Masters and U.S. Open, finishing second in each, because the majors aren’t part of the ShotLink stats. It will be interesting to see if Day can maintain that level. A quick glance at the stats might lead you to believe that Scott was a below average putter even after switching to the long putter. Scott ranked 143rd in putting in 2011, but it’s important to consider that he didn’t go to the long putter until after his first two tournaments—a poor performance at Kapalua and an epically bad showing at the Sony Open in Hawaii. For the remainder of the year, using the long putter, Scott gained .032 strokes per round, which would have ranked 98th. Scott needs to continue that kind of performance, or better, to maintain the top-10 standing in the world that he achieved with his WGC-Bridgestone Invitational victory highlighting the 2011 campaign. The Aussie was one of the best drivers of the ball in 2011, his rankings of 24th in distance and 62nd in accuracy placing him fifth in total driving. Unfortunately, he was pretty bad on holes where he couldn’t drive the ball—he ranked 173rd in par-three scoring average (he was eighth on both par fours and par fives). Schwartzel was a steady, unspectacular player in 2011, except when he went against type and won the Masters with birdies on the last four holes. That victory was his only finish better than T9, but Schwartzel finished in the top 25 in 10 of his 15 PGA Tour starts and ranked seventh in scoring average. He went 1, T9, T16, and T12 in the majors on his way to the best cumulative scoring total, yet still was almost a forgotten man by the end of the year. Despite his slight build, Schwartzel hits the ball long enough for that to be an asset (43rd in driving distance) and he keeps the ball in play pretty well (95th in hitting fairways), resulting in a ranking of 21st in total driving. He was only 79th in greens in regulation, but it’s fair to say his ball-striking was better than that—his GIR percentage was pulled down by playing the toughest schedule on the PGA Tour according to field scoring average. He was a mediocre putter in ShotLink measured events, gaining just .011 strokes per round, but it’s fair to say he putted better than that because the majors, where Schwartzel shined, aren’t included in strokes gained-putting. The question for 2012 is whether Schwartzel will put together any more Masters-like bursts or will he be a player who piles up top-25 after top-25 without having a major impact? David Barrett was an editor at Golf Magazine for 18 years and has written two books on golf–Golf Courses of the U.S. Open and Golf's Dream 18s. A long time ago, back when Seve Ballesteros and Tom Watson were the perennial favorites, he covered the Masters (as well as SEC football, ACC basketball, etc.) for The Augusta Chronicle.